Epilepsy is a brain disorder which has caused stigma for long, especially in group activities. In the last decade, however, a number of studies have shown that epilepsy patients must be socially integrated. They recommend sports practice as greatly beneficial, not only for its social integration but also for its help in crisis management. 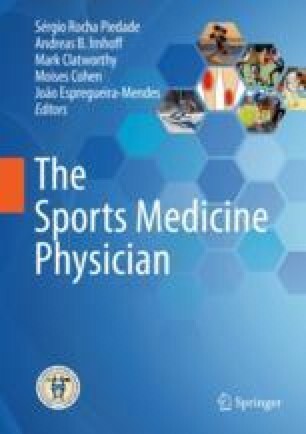 Through the development of new medications, which enhanced crisis management significantly, the participation of epilepsy patients in sports practice has increased. However, it is clear that some sports, especially with strong physical contact, must be avoided. And even sports with possible contacts, though allowed, must follow monitoring standards with specialists following the recommended protocols, so that they can practice sports more safely. Also, it should be considered that seizures are nonspecific manifestations of pre-existing brain damage and they can occur with metabolic and traumatic changes, which does not mean a state of epileptic disease. For high-performance sports, control through specific medications is a safety factor and can be widely used, since the antiepileptic drugs are not included in the forbidden list by WADA (World Anti-Doping Agency).